Florida Black and Tan Coonhound Rescue View other Black and Tan Coonhounds for adoption. Hi! 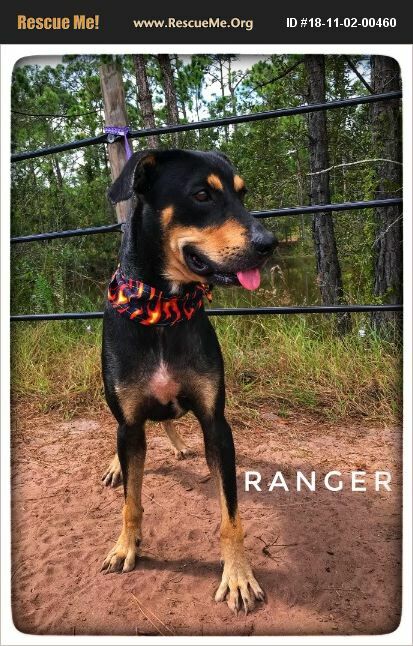 I'm Ranger! I was rescued from Highlands County Animal Services. I am 2 years old and weigh 40 lbs. I was just skin and bones when I came in. I'm starting to fill out quite nicely!! I am a handsome, gentle boy who would to have a nice family give me a forever home. I do well with other dogs and well-behaved children. I am heartworm negative and keep my kennel pretty clean. Please call my adoption coordinator Alexandra 330-261-3934 if you can rescue me. My adoption fee is $100 and includes neuter, UTD vaccines, and microchip.